﻿ Vergilius Billia Hotel, Naples | FROM $51 - SAVE ON AGODA! 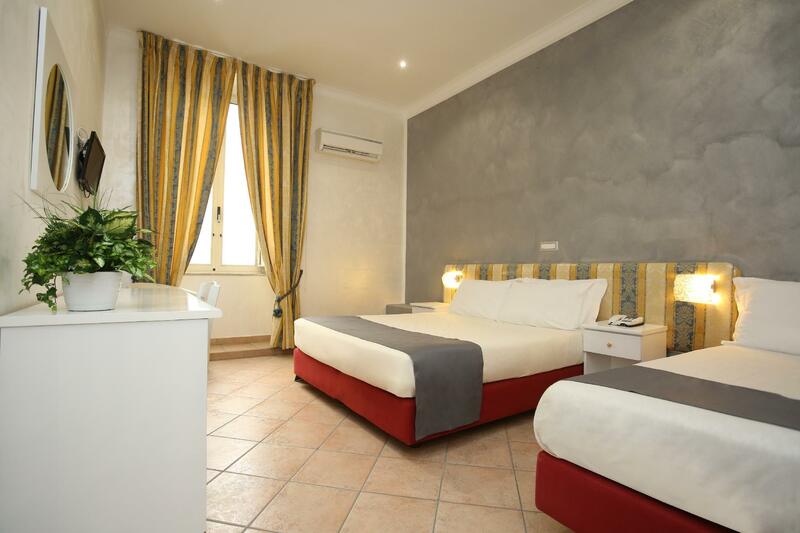 "Rooms are cleaning everyday, breakfast as in Italy very good..."
Have a question for Vergilius Billia Hotel? "The location is very close to central station"
"Hotel is clean, modern and refurbished." 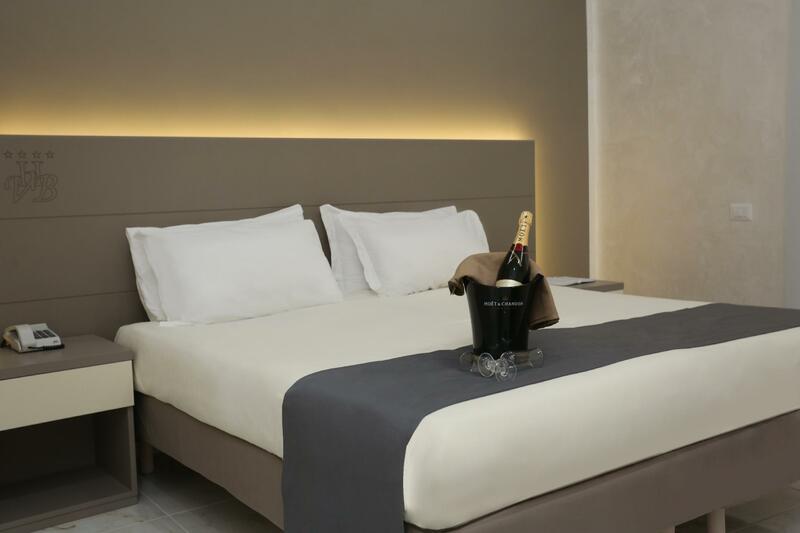 Located in the heart of the bustling Naples, elegance and comfort make a perfect combination at Vergilius Billia Hotel. From the property, getting around the city is an easy matter with an extensive network of transportation that links you to other areas of the city. Guests can explore the area for its attractions and interesting sites, including Centro Direzionale - home of the country’s skyscraper, or opt for a trip to the beautiful surrounding regions such as Capri, Pompei, Ischia, Ercolano, Sorrento, and the Amalfi Coast. 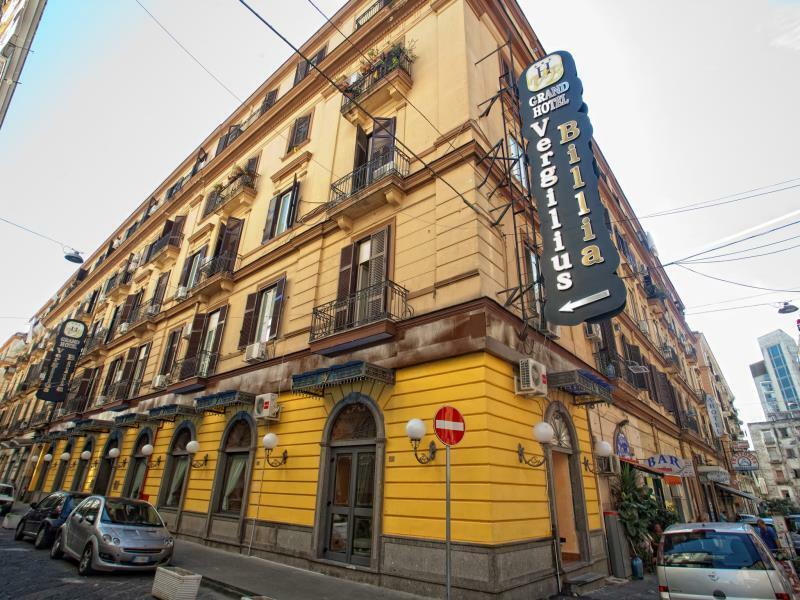 A pleasant stay and perfect base to explore this historic city is what you can expect at Vergilius Billia Hotel. "Pastry chef is good and cooking many various everyday." Please note that city tax is applicable which is 2 EUR per person per night and must be paid directly at the hotel. Easy access to public transportations. Rational price. Breakfast is a little bit poor. We visited for a couple days with my kid. Very reasonable price and good comfort. Be advised its italian 4 stars :) Hotel seems very popular with italian tourists as well. There were hordes of shool kids in the hotel. Wifi not working, staffs lied to us that its City's problem but its not .we could use wifi in nearby ristorante & other hotel wifi's working.toilet drainage stink!!!!. Room dusty!!! 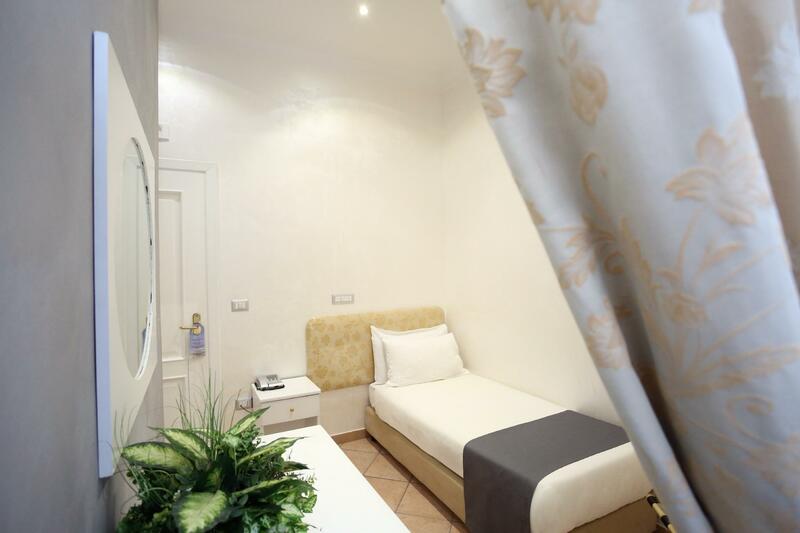 It is close to the Central Station, metro, bus and Piazza Garibaldi. 5 - 10 minutes by walking. When you come from airport with shuttlebus you can walk to the hotel. Hotel restaurant cooks well. Personel kind and helpful. Breakfast ; pastry chef is good and cooking many various everyday. On the other hand there was only one kind of cheese and overcooked eggs. In that way breakfast was poor. 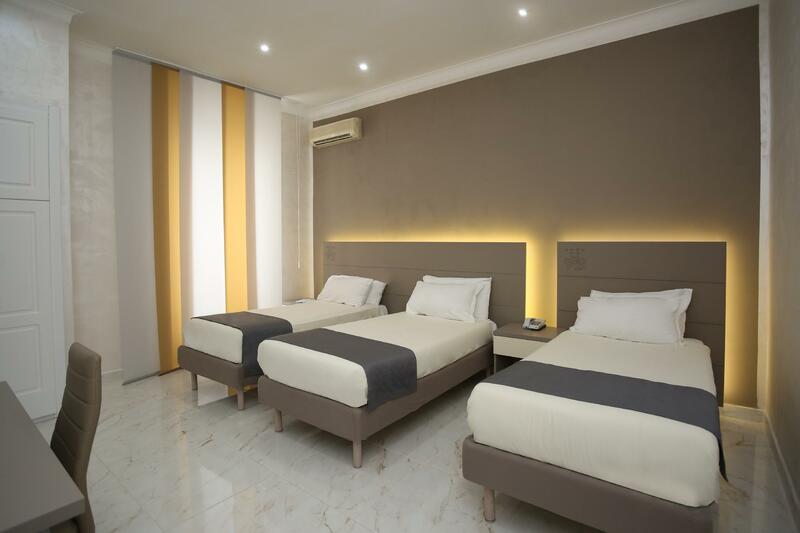 Hotel is clean, modern and refurbished. We were placed in a room that was tiled, called and dirty as my slippers picked up a lot of dirt of the floor. Bathroom was not washed properly as wet floor was showing black dirt. Mould was present in the bathroom. Room was very old and fittings likewise. Radiator was not working and aircon reverse cycle was straggling to keep place worm as it needed 3 hours or working at 30degrees to bring some comfort in the room. There was no table in the room even though the room was large. Furniture was all damaged and draws were not working and could not be used for the fear of breaking them when we tried to open them. Room had not tea or coffee in the room. This was rated as 4 star and had them displayed on the front entrance but if this is 4 star than I am Einstein. I would not rate our experience at more than 2star but was charged price that was for 4 star off season. Poor attitude of front desk. If they can't give basic information of their country, they do not qualify as Italians and not to mention working at the front desk. No kettle nor glasses provided in rooms. Rooms are in bad conditions. Broken Aircon, toilet ventilators giving out rattling sound, the lift broke down as well. Not qualify to be classified as a hotel. Location of the hotel is just perfect, train station is 2-3 mins walk. Loads of places to eat around even after 12pm! Breakfast was good. Hotel seems to be quite old, smelly carpets and room wasn't clean at all! There were hair all over the room and in bathroom too. Thankfully bed sheets were clean to get a peaceful sleep. Staff is friendly. Location is not great but very central. It is very near to piazza Garibaldi. Breakfast was weak. Room comfort was average. Hotel has parking place for the car (17 Euro per day). Hotel is very close to city centre and main train station so location wise, it's incredibly good for the price. Staff were very helpful and friendly. We did however have a couple of issues - firstly, the shower head came off several times and I had to reconnect it, this was after we turned it on and the pipe and shot up and drenched everything. The other issue was WiFi - it was good in general but a couple of times, particularly in the evening - it was very poor. One night it was so bad that I had to go and sit in the lobby to use the internet. They were our only problems though in an otherwise, good hotel. Loaction, Service & the Croissants!! Excellent hotel. Fantastic service from staff. Would definitely stay again! We had a really comfortable four days, close to transport and walking sites. The desk enabled us to book good value tours and gave directions. The room was well serviced and we loved our time there. We stayed one night there as we need to sleep after touring Pompeii and near by. The heating system broke down at the middle of the night when we came back from having dinner outside. We informed the reception and the staff were promptly responding. Unfortunately the guy can't do technical stuff that much. End up he brought extra blanket. Anyway, his effort is really appreciate. We were to do early check out, so we did inform the receptionist that we will pack our breakfast. He noted down. But next day incharge receptionist found out that no one inform the kitchen, so nothing were prepared. But the staff managed to get it in time for us before we left for our train. Will recommend to friends for stay in this hotel. Good breakfast, good location, and reasonable price! !